Your support makes it possible for Montclair Film to engage, educate, and entertain through the power of storytelling. Thank you for helping to bring great films, filmmakers, programs, classes, and events to our community year-round. To enjoy early access to festival tickets and member discounts, please be sure to log into your Member Login at the top of Montclair Film’s homepage. Member levels range from $25-$500. Interested in enjoying even more benefits? Consider making an even larger donation to support Montclair Film! CLICK HERE for more information. Qualifying enrolled college students are required to email a photo of their current university ID to Membership@MontclairFilm.org upon completing your transaction. 100% of this membership is tax-deductible. Interested in taking your support to an even higher level to enjoy special events and parties? Consider making a larger donation to support Montclair Film! CLICK HERE for more information. Give the gift of a Montclair Film membership! 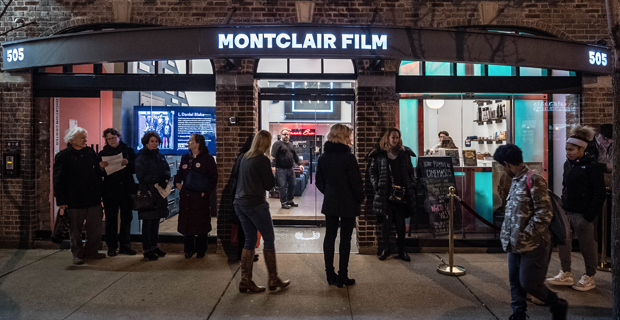 Looking for a gift for your spouse, friend, teacher, or mother-in-law… consider a gift membership to Montclair Film as a way of saying thank you and supporting a great organization. Members receive early access to and discounts on tickets sales as well as year-round programs and events, and many more perks! To purchase a gift membership, please call 973-783-6433 x 2.